Girls Wear Blue Too: Crochet heart bunting. 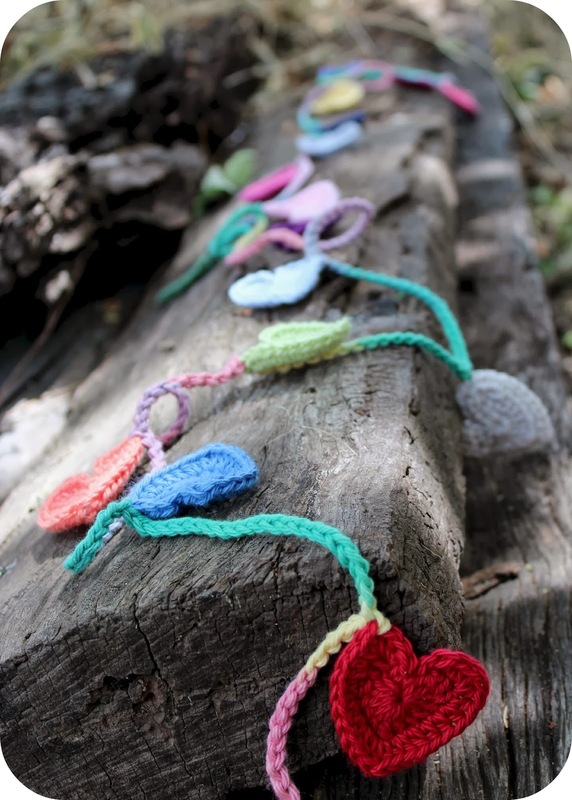 I worked all the hearts up using Bendigo woollen mills 8 ply cotton with a 3.75 clover amour hook. 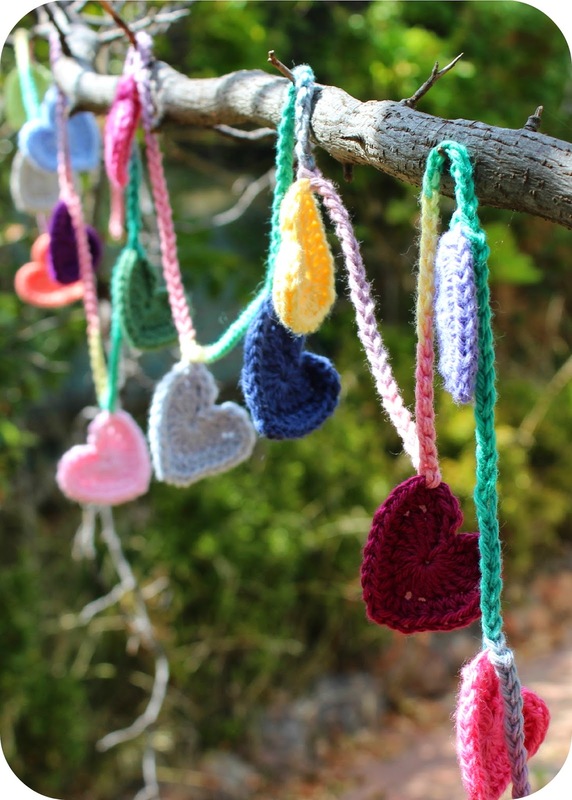 They work up so quickly and are quite addictive to make, I was enjoying watching my little pile of rainbow coloured hearts grow. I used the love hearts pattern from planet June in the medium size. To join I used a 4.00 hook and Lily Sugar and creme variegated cotton. I chained 20 then used a single crochet though the 4th stitch from the centre (on either left or right with no rhyme or reason) if you want to use this method I inserted the hook through the back of my work when doing the single crochet, then Ch 20 and join another heart in the same manner. Finish with 20 ch after you have attached the last heart. You could increase or decrease the Chain length to make your hearts closer together or further apart. For a more uniform look always attach each heart from the left or all from the right so they will hang dipping in the same direction instead of in the haphazard lopsided fashion mine do. So cute! I love it! Another reason I need to learn to crochet! Tammy, would you believe I have been looking for a heart pattern as I saw similar bunting somewhere this week and thought I'd give it a try! I just do basic crochet and thought I'd be able to cope with a heart. I was thinking of sewing them onto ribbon. Yours looks great. Thanks Tammy , I will check that pattern out too. I made a few granny square rugs in the seventies but hadn't crocheted for many years but have a renewed interest in it now. You sure do have a beautiful heart Tammy. And that heart bunting is pretty awesome too.